The results show that the Recast was generally too little and too late to deliver on its declared objectives. The Recast did not stimulate the creation of more EWCs as it provided insufficient instruments and incentives to do so. 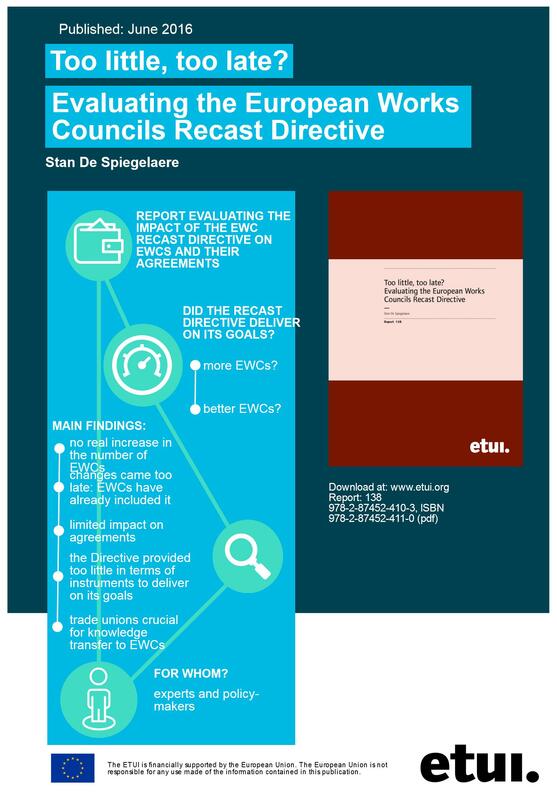 The Recast did affect the content of EWC agreements in some aspects, but generally came too late to have a significant effect and followed the learning processes present among EWCs long before the legal changes. In many ways, the Recast reflected the most common practices rather than stimulated best practices. The report can be downloaded for free from the ETUI website.